Tata Teleservices is the latest entrant in the Indian telecom market to offer Blackberry services. Their first Blackberry device is CDMA-based BlackBerry 8830 World Edition which also offers international roaming capability on GSM/GPRS networks. 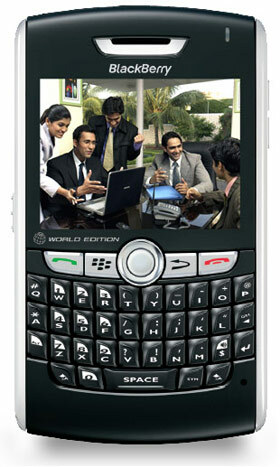 The phone is an ideal Blackberry handset with a nice QWERTY keyboard, GPS and the topping of a dual band network support. The phone will be available with a standard voice plan along with three options of data services – Gold, Platinum and Titanium.